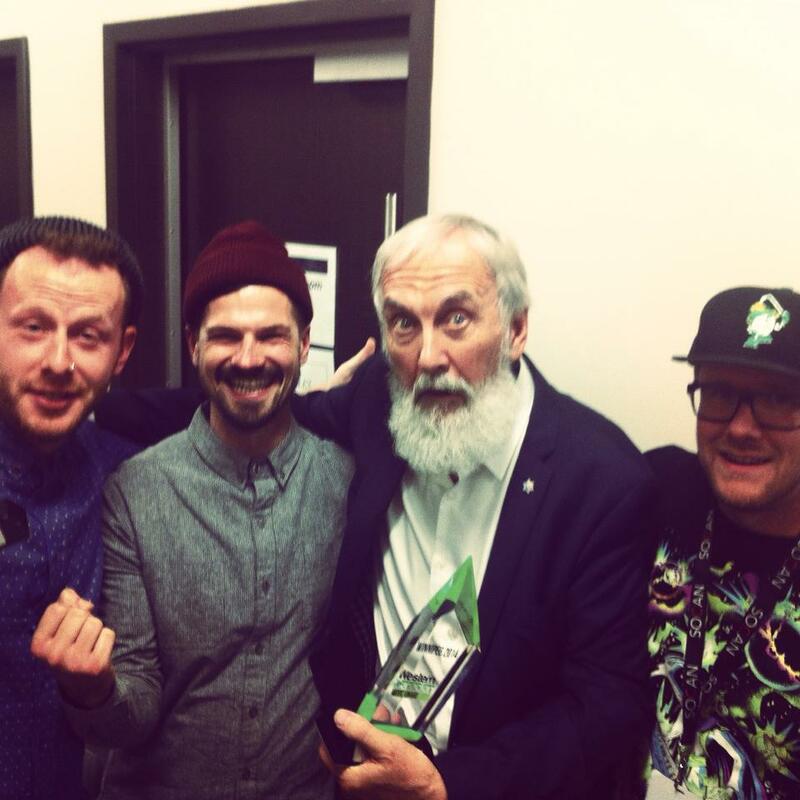 Pigeon Hole wins at Western Canadian Music Awards! After returning home from Winnipeg for this year’s Western Canadian Music Awards, duo Pigeon Hole win for their sophomore album, Chimp Blood (March 2013). Nominated separately for Hip Hop Album of the Year with their larger group Sweatshop Union for Infinite (May 2013), the twosome instead took home Electronic Album of the Year for Chimp Blood. Shared in celebration with the man of the night, Mr. Fred Penner was honored with the WCMA Hall of Fame Award.